A home-spun version of the old classic. Butter one side of each slice of bread. Place 2 slices of bread, butter side down onto a plate. 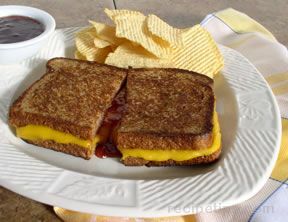 Layer each slice of bread with 1 to 2 slices of American cheese and 1 tablespoon of strawberry preserves. Cover with remaining slice of bread, butter side up. Melt a small amount of butter in a skillet over medium high heat. 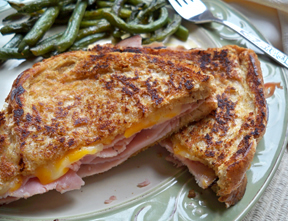 Place prepared sandwiches into skillet. Lightly brown each side of sandwich. 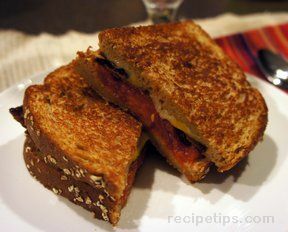 Remove from heat, slice each sandwich in half and serve.